THE DEACON JOHN GRAVE FOUNDATION, INC. P.O. Box 651, 581 Boston Post Road, Madison CT 06443 (203) 245-4645 Grave House Rental Policy and Guidelines Thank you for your interest in renting the Deacon John Grave House Grounds, a 17th Century historic site located in the Madison Green Historic District. Listed in the National Register of Historic Places, the Grave House was built in 1685 by John Grave. This rare 17th century structure is located on a 2.2 acre site know as Tuxis Farm. It was owned and lived in by the same extended family for over 300 years. In 1983 when the family decided to sell the property and it was threatened with destruction or inappropriate commercial use, the Deacon John Grave Foundation, Inc. (the “Foundation”) was formed by a group of concerned local citizens with the purpose of purchasing and restoring the property. The Foundation is a non-profit 501-(c)3 preservation organization and it is carefully restoring this historic house. Revenue from rental activity helps education and cultural activities at the house as well as restoration and other costs. 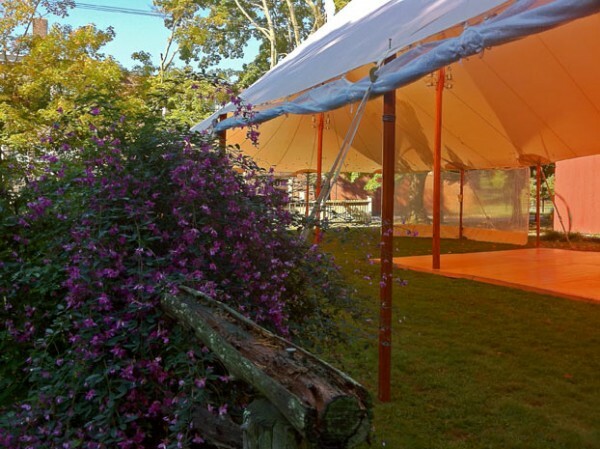 The Rental Policy and Guidelines has been prepared to assist you in planning your function. Please read the information carefully so that you are aware of what your rental obligations and responsibilities are. The fee includes the use of the Deacon John Grave House Grounds. The use of the grouns is a privilege granted by the Foundation. Sensitivity to the historic nature of the structure and the grounds is required. Renter will acquire a Certificate of Insurance showing General Liability in the amount of $1,000,000 with the DJGH named as an additional insured. The renter shall indemnify and hold harmless the Foundation from any and all losses, damages and expenses including, but not limited to legal fees and costs arising from or as a result of any action or conduct on the part of the renter or its officers, employees, agents or guests in connection with the event. Bands and DJ’s may be used but must comply with noise ordinances as specified by the Town of Madison for residential districts. Tents: A single event size tent may be used with a maximum size of 30′ x 50′. 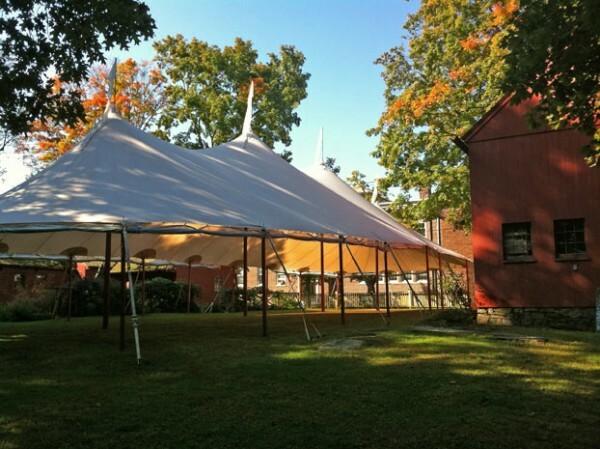 One additional 10′ x 10′ foot tent may also be used. Due to the historic nature of the building, decorations or materials cannot be taped, glued, nailed or attached to buildings without prior permission from the Foundation. Renters must leave the property in clean, tidy and good condition with all garbage, decorations, etc. removed at the conclusion of the event. They must comply with all provisions and limitations specified in the rental contract. If they do not comply all or a portion of the security deposit will be withheld. Items and equipment must be removed within 1 hour of the end of the event or by 10:00 PM, unless arrangements have been approved for next morning pickup. Open fires and barbeques are not permitted on the grounds. 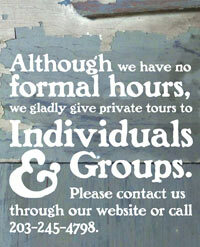 Tours of the house are not included in the contract, but can be arranged in advance. 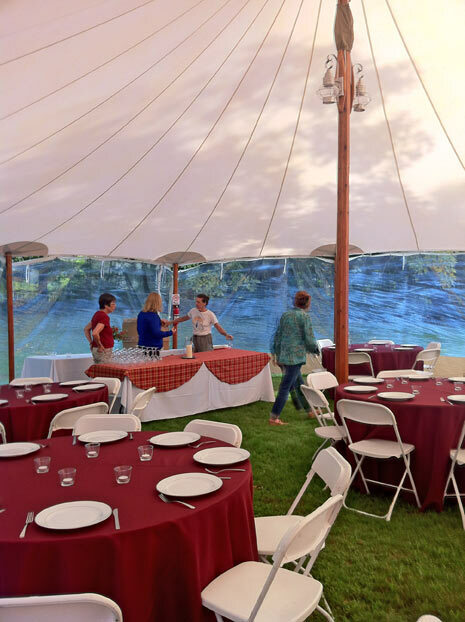 The Caterer must be insured for $1,000,000 general liability, products liability and liquor liability and you and the Foundation must be listed as “additional insured” under the caterer’s policy for the date of the function. A copy of the Caterer’s Certificate of Insurance must be submitted to the Foundation 14 days prior to the function. Preparation or cooking of food is not permitted. However, electricity is available in the barn for the warming and cooling of pre-prepared food. The barn may also be used for the storage and transfer of food to the seating areas. Barbequing and open fires are not permitted on the grounds. The caterer may set up two hours before the function (except for tents). The caterer must provide all china, glassware, tables, linens, etc. The caterer must leave premises clean and free of trash. 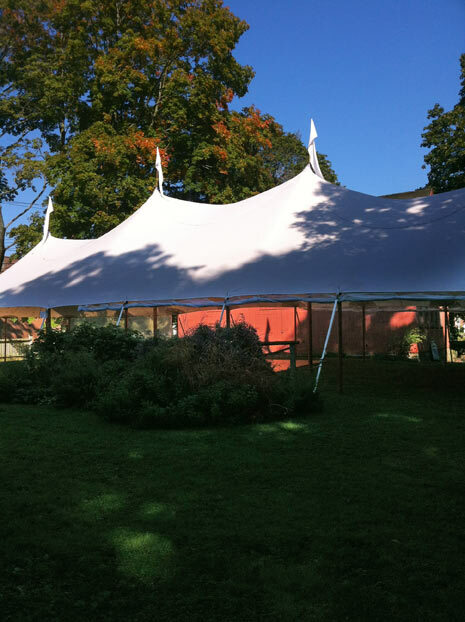 Scheduling arrangements must be made with a representative of the Foundation for tent set-up, rental equipment delivery, liquor delivery etc. At least one representative of the Foundation will be at the house at all times during the function as well as during event set-up and cleanup. We are happy to have you use our premises for your function. However, our obligation to the community and security of our historic property is foremost. The Foundation retains the right to deny a rental request that is considered to be inappropriate for the property environment. The Foundation also retains the right to cancel any event should these policies and procedures not be strictly adhered to. In addition, the Foundation reserves the right to cancel any event should there be false claims by the renter or for security reasons. The nature and purpose of the building is to serve as an historic cultural institution, therefore, the Foundation has sole responsibility to allow or disallow an organization from holding an event at the Foundation.